This paper presents fabrication methods for some Multi Walled Carbon Nano Tube (MWCNT)/epoxy composites. These nanocomposite are characterized with respect to temperature and strain. The effect of parameters such as sonication time, percolation threshold, film thickness, use of substrate and formation of electric contact have been observed. These nanocomposites are fabricated: (i) with mould without substrate, (ii) without mould on poly ethylene terephthalate substrate, (iii) without mould without substrate and (iv) without mould without substrate with embedded electrode wire. Field Emission Scanning Electron Microscope of these samples is done to measure the dispersion and agglomerates formation of CNT bundles into polymer matrices. Piezoresistive characterization of these samples with respect to temperature and strain is performed. 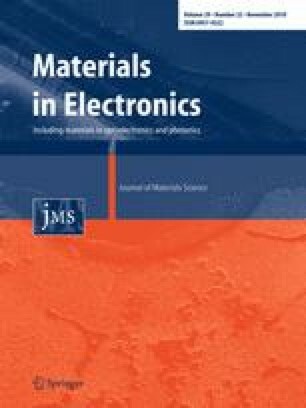 This paper gives a novel strategy for fabricating a highly sensitive MWCNT/epoxy strain sensor with excellent repeatability. The authors acknowledge contributions of Dr. Inderpreet Kaur, Scientist, CSIO, Chandigarh and J.K Goswamy, Professor, UIET, Panjab University, Chandiagrh. Authors are grateful to Sophisticated Analytical Instrumention Facility (SAIF) of Panjab University, Chandigarh for FESEM characterization. Authors also thank Mr. Piyush Uniyal, Research Scholar, IIT Ropar for assisting in characterisation work. We also like to acknowldege Dr. Mamta Sharma, Assistant Professor, UIET, Panjab University for her technical support in characterisation work. We are grateful to Mr. Jaskaran Singh, Bachelor Student, UIET, Panjab University for his support. Authors thank Director, CSIO, Chandigarh for providing necessary laboratory facilities and Department of Science and Technology, New Delhi for providing INSPIRE faculty award to Dr. Parveen Kumar.